Mac Prescription Shop delivers prescriptions to local group homes and care facilities for a small fee. Contact us for details. 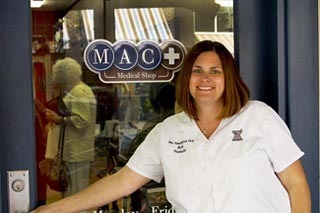 Mac Prescription Shop & Gifts has been serving McMinnville, Oregon and surrounding areas for over 40 years. We are the only locally owned and operated pharmacy in the area, and superior customer service is our top priority. We provide prescriptions, over the counter medicine, personal care products and vitamins along with quality gifts and cards.